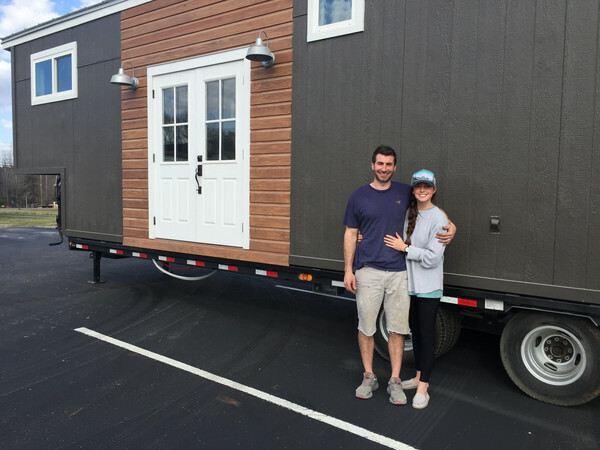 TINY HOUSE TOWN: The Fifth Wheel Tiny House From the Tumbleweed Tiny House Co. 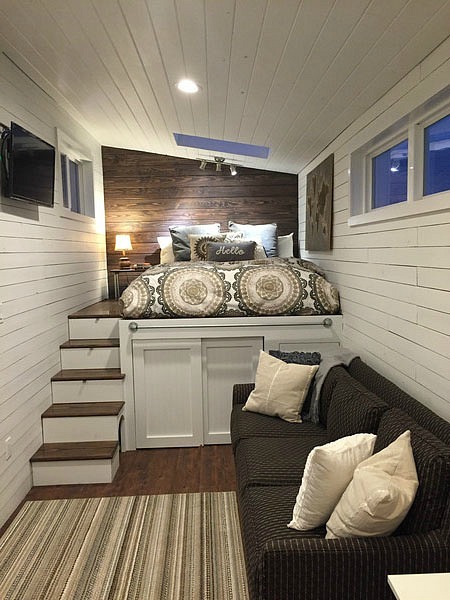 The Fifth Wheel Tiny House From the Tumbleweed Tiny House Co. 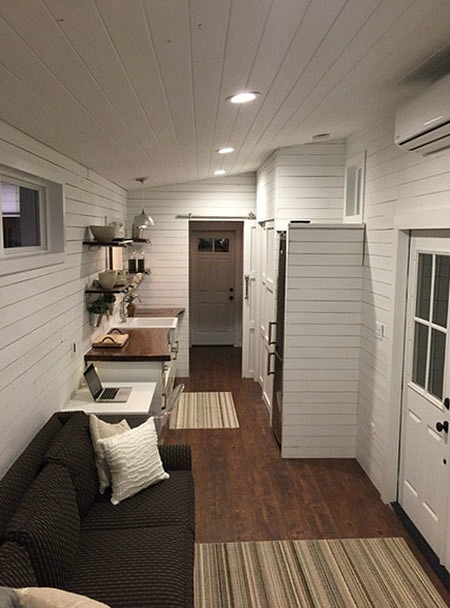 The Fifth Wheel tiny home is another great tiny house by the Tumbleweed Tiny House Company. 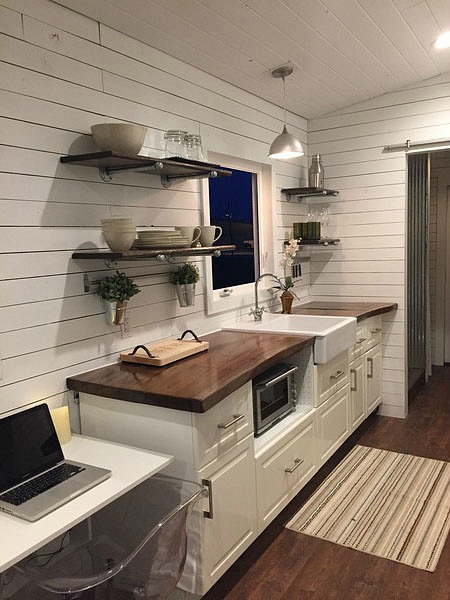 This model is one of the few tiny houses without a loft. Instead, the bedroom sits on a raised platform. The Fifth Wheel measures 255 sq ft with a material cost of $35,000. The home’s owners, Brian and Skyler, built the home in about 8 months, finishing it in December of 2015. 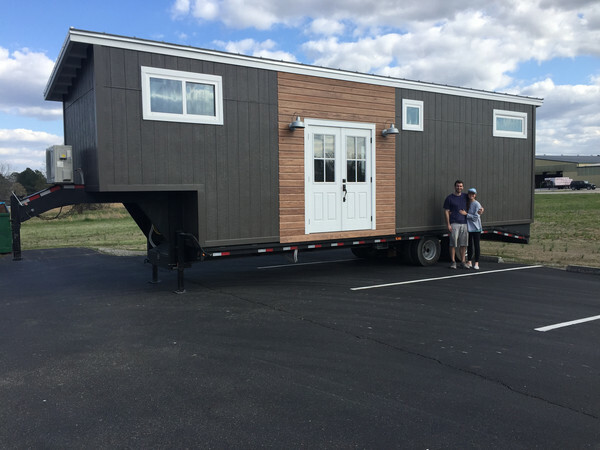 Skyler’s father owns a manufacturing company, so they had access to a large warehouse to build their tiny house in year-round. The couple also both have degrees in building construction, so they had plenty of expertise to help in building their dream home. 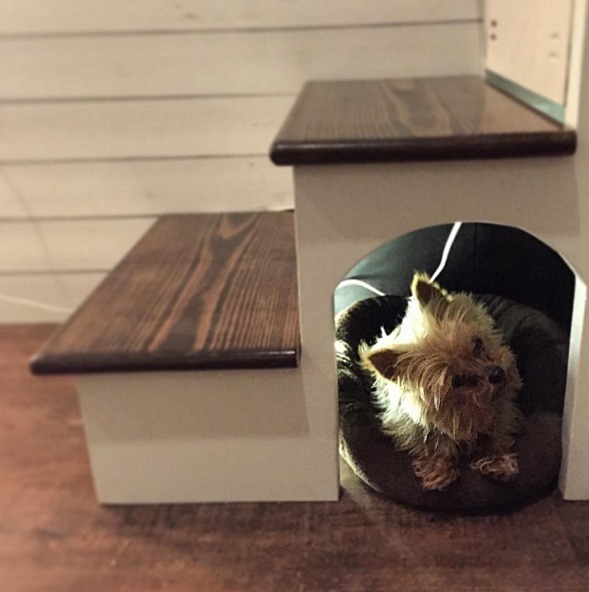 To create some extra space, Brian and Skyler carved a small dog house for their Yorkie, Sadie, in the stairs. There’s also drawers built into the raised platform to store personal items.